The head teacher of one of Birmingham’s top private schools has called on more state help for disadvantaged pupils after Nick Clegg hit out at class divides. The Lib Dem leader warned the UK was still a “long distance” from becoming a classless society, claiming there was a “rift” between state and private education. In a speech earlier this week to education charity the Sutton Trust, Mr Clegg said some people were born with a sense of entitlement, while others simply face exclusion. But John Claughton, head of King Edward’s School in Edgbaston, said his school, like many other independent schools, was working hard to provide places for disadvantaged students. 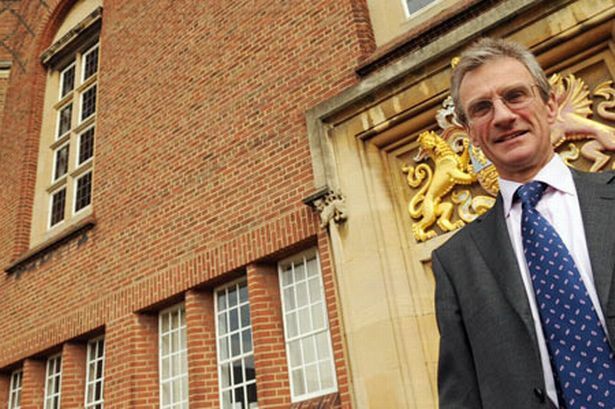 He said: “At independent schools like King Edward’s School and King Edward VI High School for Girls, we are not absolutely full with the rich and the wealthy. “When I look at our Year 7 boys starting in September, 25 per cent of them will be on an assisted place, and 10-15 per cent of those will be here absolutely free. In his speech which followed the publication into a government review into social mobility, Mr Clegg highlighted moves to encourage universities to help state-school students by accepting lower grades from promising applicants. One in two parents from higher social classes expect their child to get a job in a profession, compared to one in five of those from the lowest social backgrounds, he said. And one in five teachers say they never advise their brightest students to apply to Oxford and Cambridge. Mr Clegg said: “Education is critical to our hopes of a fairer society. “Right now there is a great rift in our education system between our best schools, most of which are private, and the schools ordinary families rely on. That is corrosive for our society and damaging to our economy. “We do need to ensure that our school system as a whole promote fairness and mobility, rather than closing down opportunities. “We are committed to narrowing the gap in our school system, state and private, and ensuring that all children are given the chance to rise. But Mr Claughton said the government should look at creating more equal opportunities at a younger age, rather than accepting lower grades at university level. He also called on more state help in funding assisted places for poorer pupils, in a move reminiscent of the direct grant system. The scheme saw the government pay for school places for pupils who passed the 11-plus, until it was scrapped in 1979. Mr Claughton said: “Instead of fiddling the figures at the age of 18, why doesn’t the government help in giving able children a good education from school age? “Mr Clegg talks about social mobility, yet the government is ignoring a very successful and very powerful way of doing this. King Edward’s School was one of 80 independent schools who in March for additional state help to pay the fees of bright youngsters from deprived backgrounds. The school supported a supporting a new Open Access scheme, proposed by the Sutton Trust, which pushes for “needs blind” school admissions – with children winning places based on ability, not parental income. If given the go-ahead, it could pave the way for 30,000 pupils being awarded places. King Edward’s School has raised nearly £3 million over the past two years for its own assisted places scheme.